Michelle Francois leads the Compassionate Systems work at the National Center for Youth Law which includes FosterEd, an initiative in 4 states to help young people who come into contact with public systems to graduate high school with a wide array of possibilities for their future. Prior to coming to NCYL, she served as the Associate Director of Child Welfare with the Stuart Foundation, where she led a major initiative to improve education outcomes for foster youth across California. Her life’s work has been focused on helping young people realize the vastness of their potential and supporting systems change efforts that put the needs of youth at the center of policies and practices. Francois’ life and work experience span a broad spectrum: as an artist, stage director, community activist, strategic planner and program director – all the while as a passionate advocate for young people and families. Her superpower is finding out what is uniquely awesome about people, lives in San Francisco with her amazing husband, Cliff and step-son Theo and holds a Bachelor of Arts from Macalester College in Minnesota. 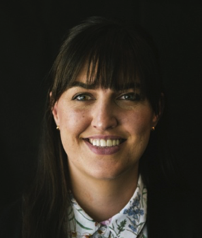 Rachel Velcoff Hults is an attorney and Deputy Director of Programs for NCYL’s FosterEd initiative, focused on improving the educational experiences and outcomes of system-involved youth. She previously served as FosterEd’s Chief Operating Officer and as Project Manager for FosterEd’s demonstration program in Santa Cruz County, California. Prior to joining NCYL, Rachel worked at Bay Area Legal Aid in Oakland, where she represented youth and families on public benefits, health access, and education access issues. Previously, she was a litigation associate at Cleary Gottlieb Steen & Hamilton LLP in Washington, D.C. Rachel received her B.A. from the University of Pennsylvania in 2005 and her J.D. from Stanford Law School in 2008. Atasi Uppal is an attorney on NCYL’s Juvenile Justice and FosterEd teams. She leads program and policy advocacy to improve the education outcomes of youth in the juvenile justice system, and much of this advocacy aims to support youth who are living in the community and supervised by Probation. Atasi also provides training and support to off-site FosterEd staff, who provide direct services to system-involved youth, and she assists with juvenile justice-focused litigation. 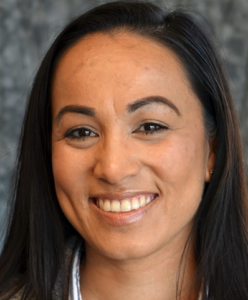 Prior to joining NCYL, Atasi was a Trial Attorney at the Committee for Public Counsel Services in Massachusetts, where she represented low-income children and parents in state custody, termination of parental rights and status offense cases. Atasi received her B.S. in Brain, Behavior and Cognitive Science and her J.D. from the University of Michigan. At Michigan Law, Atasi was an Executive Editor for the Michigan Journal of Race & Law and worked at legal services organizations focused on child welfare, special education and juvenile justice. 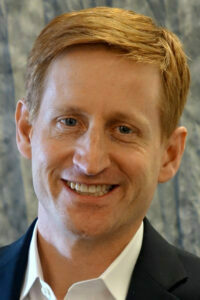 Andrew Moffett is the Project Manager for Data and Technology for NCYL’s FosterEd Initiative. He will continue to enhance and expand on our student support data system, EdTeamConnect (ETC). Prior to joining NCYL’s FosterEd Team, Andrew has worked on large-scale youth-centered initiatives in New York City and the Bay Area. Andrew is also an AmeriCorps – Volunteer In Service To America (VISTA) alumni and actively engages in various volunteer initiatives that promote and advance his passions for the expansion of access to quality supports for disadvantaged children, families and community members. Taylor Chambers joined NCYL in June 2017 and supports the FosterEd team. She graduated with a B.A. in Political Science from Stanford University in 2016. Originally from Sacramento, CA she has volunteered with various direct service organizations that support youth and families in Northern California. Prior to joining NCYL, she completed an AmeriCorps program that served elementary students with special education needs in Boston. Ultimately, she hopes to pursue a legal career to better advocate for marginalized youth and families. Molly Dunn is the Director of FosterEd Arizona. 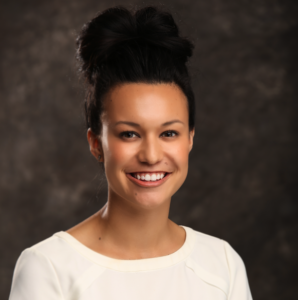 Deeply influenced by her own early experience as a foster child, Molly has dedicated her career to improving the education outcomes of system-involved youth. As a direct services provider, with Legal Services for Children and the San Francisco Public Defenders’ Office, Molly advocated on behalf of hundreds of youth in special education and school discipline matters. As a clinical instructor at Stanford and Loyola law schools and as a supervisor with Legal Advocates for Children and Youth, she has mentored and guided other advocates to serve system-involved youth. As a policy advocate with the Alliance for Children’s Rights, Molly sought to remove systemic barriers and secure much-needed resources to help youth in foster care achieve success in school and in life. Molly holds a B.A. from Macalester College and a J.D. from Stanford Law School. Andrea is the Director of Implementation: FosterEd Arizona. She received her undergraduate degree from the University of Arizona in 2007. She went on to receive her graduate degree in education from American University in Washington, D.C. where she was a teacher for six years. 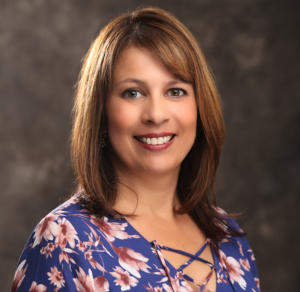 Andrea has worked with and mentored children of all ages and has deep roots in the Tucson community. The fact that she is bilingual and bicultural has assisted her in bridging gaps within the communities where she has worked. Her understanding of the achievement gap in education and her desire to see an end to it, has led her to become a FosterEd Education Liaison in 2013. 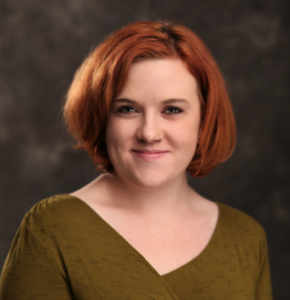 Meghan Arrigo is the Director of Policy and Youth Leadership with FosterEd Arizona. Prior to arriving at FosterEd, she served for six years as the Arizona lead for the Annie E. Casey Foundation’s national effort, the Jim Casey Youth Opportunities Initiative, partnering with alumni of foster care to improve the wellbeing and outcomes of those who also experienced care. Additionally, she spent six years working with Girls For A Change and Kotex Ô, collaborating with schools and community centers throughout the country to train young people on creating social change in their communities using a body+ lens. 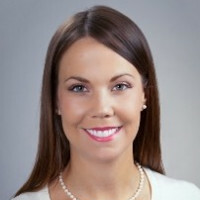 Meghan also served as Director of Community Partnerships at Florence Crittenton where she oversaw the department responsible for delivering Independent Living and Life Skills training to young people aging out of Arizona foster care as well as youth and adults in the behavioral health systems. She received her degree in International Relations and Social Policy from James Madison College, Michigan State University. 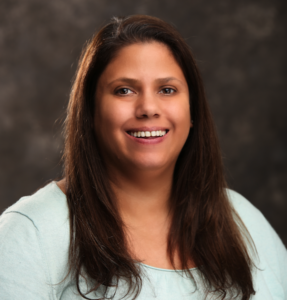 Arayah is the Associate Director of Community Engagement for FosterEd Arizona. She comes from a family of educators and is passionate about youth advocacy and community service. 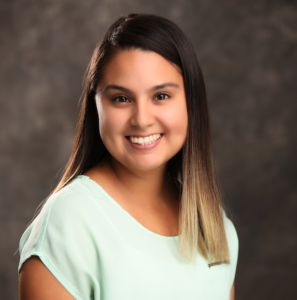 As a young person, Arayah served on the boards of the Pima County Public Library and the Every Voice in Action Foundation and volunteered with the Pima County Women’s Commission. She attended Warren Wilson College in Asheville, NC and graduated in 2013 with a B.A. in Political Science and Global Studies. She returned to Arizona after 5 years in North Carolina working for the National Climatic Data Center, North Carolina Democratic Party, and the Campaign for Southern Equality. Arayah is a firm believer in the power of young people and the ability every individual has to serve their community. Sara is an Education Liaison with FosterEd: Arizona. Sara graduated from Kent State University with a B.A. in Justice Studies with a focus in Constitutional Law. She went on to receive her M.B.A. and is working on her M. Ed in Elementary Education at Grand Canyon State University. Previously, she worked for the Arizona Department of Child Safety as an investigator. Sara’s experience working for DCS has helped her see the difficulties that children in foster care face when it comes to their education. Sara is passionate about education and her goal is to help students achieve their full education potential. Jacki is an Educational Liaison with FosterEd: Arizona. After completing her B.A. in Human Development at Sonoma State University in Northern California, she moved to Phoenix, Arizona to join Teach for America in 2013. In Phoenix, Jacki taught as a Special Education teacher and earned her Master of Special Education from Arizona State University. Since then, she has worked extensively with at-risk and unaccompanied young adults in Pima County with a focus on supporting students as they work towards high school graduation and their college and career goals. Jacki is driven by her passion to support young adults as they navigate their future, so they can be as successful as possible. She is committed to supporting system-involved students recognize and capitalize on their strengths and skills to overcome obstacles and reach their goals. Julia (Julee) is an Education Liaison with FosterEd Arizona. She holds an undergraduate degree in family studies from the University of Arizona. She began her career over two decades ago working with youth involved in the juvenile justice system and their families through the juvenile court, providing case management services to improve educational outcomes and reduce recidivism. She then moved on to provide in-home services to families who had been referred to Child Protective Services. Working with families in their homes gave her a real life understanding of the challenges disadvantaged families face day to day. Prior to joining NCYL, she worked in foster care, educating, licensing and supporting foster families to meet the needs of the foster children in their homes. Julee speaks Spanish, providing her the ability to work with Spanish-speaking families, and she also has knowledge of American Sign Language. Jennifer is an Education Liaison with FosterEd Arizona. She graduated from The University of Arizona with a B.S. in Family Studies and Human Development. Her interest in child welfare began when she interned with Child Protective Services and continued to develop through her work at Casa de los Ninos children’s shelter. In 2003, Jennifer began her service in the United States Peace Corps in the Pacific country of Vanuatu as a Youth Development Volunteer, working with youth in rural communities to develop programs around gender advocacy, sexual and reproductive health, and education. She remained in Vanuatu after her service, working at a local NGO as Research Manager and Youth Center Manager for 8 years before returning to Tucson. 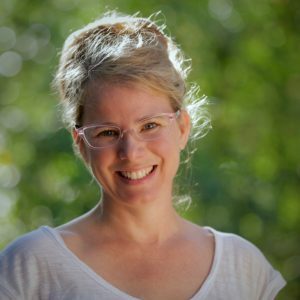 Jennifer’s 18 years of experience in multi-cultural settings working with at-risk children and youth has given her insight in working with children in the foster care system and the unique challenges they face. Shane is an Education Liaison with FosterEd: Arizona. 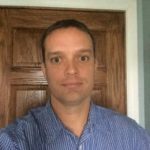 After serving in the U.S. Army, Shane attended the University of Wisconsin-Parkside on an Athletic Scholarship for Cross Country and Track and graduated in 1999 with a B.A. in Criminal Justice. 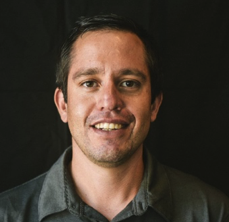 Shane spent 5 years working in law enforcement before moving to Arizona where he worked for 6 years with the Arizona Department of Child Safety as an Investigator and then as a Case Manager for the Young Adult Program. 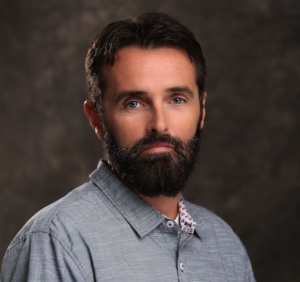 For the past 5 years, Shane has worked with students and families in the Tucson and Marana Unified School Districts as a Drop-Out Prevention Specialist and as a District Social Worker. Shane was a board member on a local non-profit where he worked on a charitable race. Proceeds went to the Title I school where he coached and to Youth On Their Own, a local non-profit helping homeless youth graduate high school. Working with foster youth and helping them to graduate and be successful members of the community has always been his passion. Jennie is an Education Liaison with FosterEd: Arizona. Originally from New Jersey, she moved to Tucson to study Psychology at the University of Arizona and graduated in 2013 with a B.A. in that field. Jennie has experience working with underprivileged youth within many rural communities of Arizona. She also has an extensive background working with local non-profits and behavioral health networks. As a foster parent herself, Jennie wants nothing more than to aid system-involved youth in their journey to success as each and every child is capable and deserving of such. Sandra is an Education Liaison with FosterEd: Arizona. Her educational background in social work and experience in working with vulnerable populations allows her to identify and address a multitude of systemic barriers facing students in foster care. Sandra strives to make the public education system a more equitable one, a place in which all children have an opportunity to achieve their full potential. She received both her BSW and MSW with a concentration in Planning, Administration, and Community Practice from Arizona State University. Outside of her role as an Education Liaison, Sandra promotes social justice by increasing civic engagement within the social worker community. She volunteers her time with a local non-profit organization in an effort to make the political landscape more diverse and inclusive. Sandra is fluent in Spanish. Jaron is an Education Liaison with FosterEd: Arizona. 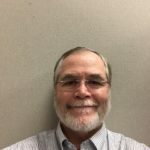 Previously, he was an Independent Living Specialist II with Arizona’s Children Association (AZCA) where he helped foster youth aging out of care build life skills ranging from opening bank accounts and renting apartments to preparing for college. Prior to AZCA, Jaron was a Mentor Program Coordinator for Aid to the Adoption of Special Kids. In that position, he assisted foster youth in finding and matching with mentors from the community. Jaron’s previous experience also includes serving as a Residential Advisor for HomeBase Youth Services, which offers transitional living services to homeless youth ages 18-24. He obtained his B.A. in English from the University of Phoenix in 2013, and his M.A.Ed. from Northern Arizona University in 2017. Jessica is an Education Liaison with FosterEd: Arizona. Jessica attended Northern Arizona University and graduated with her Bachelor’s Degree in Social Work. Prior to working as an Education Liaison, Jessica interned for the Department of Child Safety in Flagstaff and soon after began working permanently with the Department. Jessica understands from her own experience the difficulties of obtaining higher education and having the support to do so. Jessica’s goal is to see all children, especially those in foster care, succeed and she knows that it takes all of the systems involved in our foster youth’s lives, working together, to make that a reality. 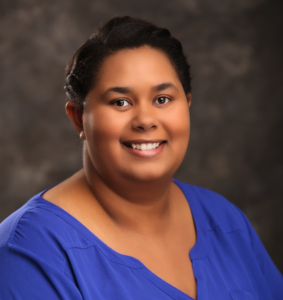 Ashely Dickerson is an Education Liaison with FosterEd: Arizona. She is a proud Arizona native and attended the University of Arizona where she studied the Social and Cultural Foundations in Public Education while focusing on Adolescent Development, Ed Policy and Africana Studies. Ashely has extensive experience both in and out of the traditional education field and has worked with various nonprofits including serving as an elementary school teacher, completing four terms as an AmeriCorps member in her community, and launching her own leadership and empowerment program for girls of color. Education campaigns and civic engagement are at the core of her efforts. She is passionate about creating an equitable and just education system in Arizona, which has led her to FosterEd: Arizona. Victoria is an Education Liaison with FosterEd: Arizona. Victoria has worked in the education and behavior health fields for over 10 years. Previously, she worked for Valley of the Sun United Way as a Destination Graduation Coordinator where she case managed high school students and ensured that they were on track to graduate. She is an active advocate for youth, and as a licensed foster care provider she is experienced and passionate in delivering and supporting positive change to all children, families, and community members. Rose is an Education Liaison with FosterEd: Arizona. While she is originally from Texas, she has lived in New Mexico, Arizona, and spent a year teaching in South Korea. These experiences have given her a strong cultural competence that she brings to NCYL, along with her passion for social welfare. After graduating from the University of Arizona with a B.S. 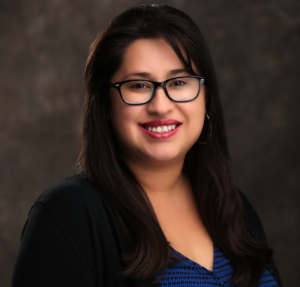 in Public Management and Policy in 2012, she worked with Arizona’s Children Association (AZCA) as a bilingual behavioral health case manager, where she gained an understanding of the state’s behavioral health systems and needs of families within our communities. She then transitioned into child welfare as an Independent Living Specialist II, where she taught teens in the foster care system life skills and assisted them in their transition out of care. Rose enjoys working with youth and strives to empower them to dream big and reach their full potential. Margaret Olmos joined NYCL in 2017, returning to her home state to serve as State Director for FosterEd California. Prior to joining NYCL, Margaret was the Assistant Superintendent of Student Programming for the Recovery School District in New Orleans, LA. In her role, Margaretexpanded career-pathways to bridge K-12, Community College, and industry partnerships aimed at serving at-risk youth. Prior to joining the RSD, Margaret served in the Obama Administration, first serving in the White House as the Deputy Director of Research, and then moving to the U.S. Department of Education as the Chief of Staff for the Office for Civil Rights. Margaret began her career as an AmeriCorps NCCC member. She earned her B.A. in Political Science from Haverford University, with a minor in Special Education, and earned a Masters in Comparative Politics from Queens University in Northern Ireland, where she was trained as a mediator. Prior to joining NCYL, she was at Children’s Aid in New York City. There Jessica focused on leading the Fostering Youth Success Alliance (FYSA), a statewide coalition she founded to focus on reforming budget, policy and legislation that impacts the child welfare system. Under Jessica’s leadership, FYSA established a new statute and program, the Foster Youth College Success Initiative, and secured $15 million in state funds to support foster youth attending college in New York. Additionally she has been successful in advocating for the implementation of several city and state laws and budget items that created new resources and expand access to services for transition age youth. She is the recipient of the New York Nonprofit Media Cause Award in Education for her efforts in education equity advocacy on behalf of foster youth, and the Innovation and Excellence awards. 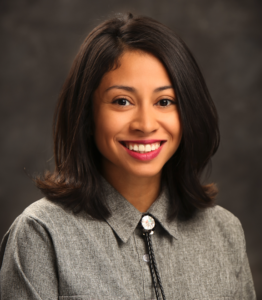 Jessica is a New York City native, and has a Master’s of Science, in Urban Affairs from Hunter College where her focus was Public Policy and Nonprofit Management. 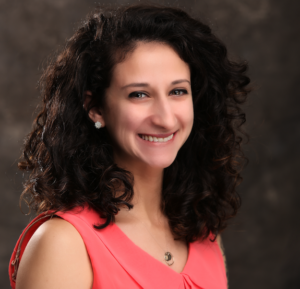 Jessica is committed to improving the lives of young adults, by empowering them to make good decisions, become self- sufficient, and active participants in creating social change. She is also spends time mentoring students, serving on the New Yorker’s for Children Board of Directors, and various advisory groups related to youth empowerment. Kawena is the FosterEd California Program Manager for the Antelope Valley area of Los Angeles County. She was promoted to Program Manager, after serving as a FosterEd Education Liaison from 2015 – 2018. Prior to joining the FosterEd team, Kawena worked for the Los Angeles County Department of Children and Family Services (DCFS) as a Children’s Social Worker (CSW) for nearly 7 years. During the last 2 1/2 years with DCFS, Kawena worked in the Foster Youth Education Program. She provided services to youth in high school, created individualized education case plans and advocated for youth to access services they needed to ensure positive educational outcomes. While transitioning from her role as a CSW, Kawena also spent time as a substitute teacher. 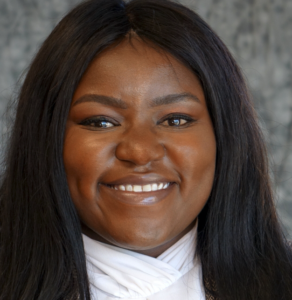 Kawena earned a Bachelor’s and Master’s degree in Psychology and a Master’s in Social Work, with a sub-concentration of children and families in the school setting. She hopes to use her education and experience working with youth involved in the child welfare system to ensure the educational needs of system-involved youth are being met on an individual level, but also impact systemic change. Shelbby is an Education Liaison in the Antelope Valley region of Los Angeles County. Prior to joining the FosterEd team, Shelbby worked as a Children’s Therapist in a community mental health setting serving children and families in Los Angeles. She holds a bachelor’s degree in Psychology from the University of California, Santa Cruz, and a master’s in Social Work and Certificate in Child Welfare from the University of Michigan. While in her graduate studies, Shelbby concentrated on the impacts of trauma, youth advocacy and building resiliency for families. She has several years of experiencing working directly with youth and has spent time as a Court Appointed Special Advocate (CASA) advocate, community organizer, educator and group facilitator. Shelbby is fluent in Spanish, enabling her to serve both English-speaking and Spanish-speaking families. Christal Heard, Education Liaison, Antelope Valley Christal is an Education Liaison in the Antelope Valley region of Los Angeles County. 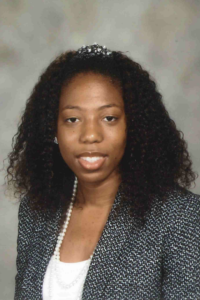 Prior to joining NCYL, she served as a Student Interventionist in the Palmdale School District. There, she collaborated with administrators, parents, students and site Social Emotional Learning Specialists to decrease suspensions and produce positive behavioral practices. She’s a proud mother and mentor who firmly believes that every child has a purpose and potential to greatly impact others. This belief drives Christal’s passion to uplift, guide, protect and serve the disadvantaged. 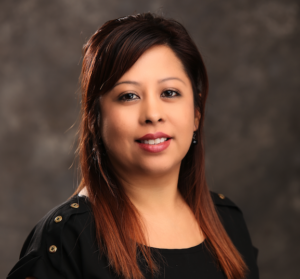 Giselle is as an Education Liaison in the Antelope Valley region of Los Angeles County. Previously, Giselle worked for almost 9 years as a Wraparound team member, where she was able to work one-on-one with youth to create goals and support them to meet those goals. Giselle has worked with youth in the community as a football president for a non-profit and cheer coach for younger and high school aged youth. 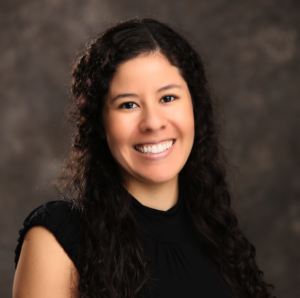 Giselle has a Bachelor of Arts degree in Psychology and currently is completing a Master Degree in School Counseling. Giselle hopes to continue be a voice for youth. Joanne is an Education Liaison in the Antelope Valley of Los Angeles County. She received her B.A. in Liberal Studies at California State University Northridge. She comes to NCYL with extensive experience in trauma informed practice and strength-based work. Prior to joining FosterEd, she was a Wraparound Facilitator and worked with high-risk, system-involved youth to develop family-centered, needs driven plans and provided 24/7 crisis intervention. 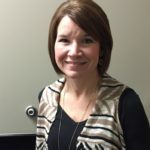 Her ability to connect with youth and help them identify their strengths is a skill she utilized in her previous role and looks forward to using as an Education Liaison to help youth achieve their greatest potential. She is excited to continue to work with youth and hopes to inspire young individuals to set goals and be motivated for their future. Camille is the FosterEd Program Manager in Contra Costa County. 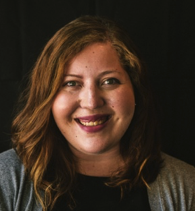 Before joining NCYL, Camille was the Program Director of a residential treatment program serving youth in foster care with current or past experiences with commercial sexual exploitation. She has also worked as a clinician and case manager in transitional housing programs serving non-minor dependents participating in extended foster care (AB12) and as an elementary school counselor in the Bedford Stuyvesant community of Brooklyn, NY. Camille holds her LCSW and is a graduate of NYU’s Silver School of Social Work. There, she had a combined focus of clinical direct service with youth and macro policy work with the eventual goal of helping to reform our child welfare system. She completed her B.A. in Psychology at Columbia University and is originally from Sonoma County, CA. Valentine (Shiko) is an Education Liaison for Contra Costa County. Valentine is a children’s rights advocate and strongly believes that the success of children is a strong indicator of a thriving community. As such, Valentine has worked in various capacities in service to children/youth and their families, most recently as a Program Manager at an autism treatment company. She is excited to continue to work with children and families, she is also thankful for the opportunity to shape systems that will improve educational outcomes for youth. 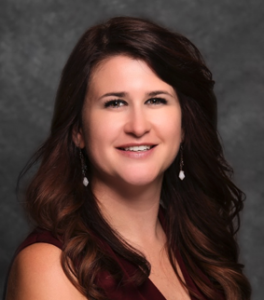 Adrienne “Bing” Goldsworth joined NCYL in July 2018 as the Program Manager for FosterEd in Monterey County. Growing up homeless and in foster care for a majority of their life is what lead to Bing’s passion to work with disenfranchised youth across multiple systems of care. Bing began their career in social services when they served as a Foster Youth and McKinney-Vento Liaison at the Santa Clara County Office of Education from 2008-2011. In 2011, Bing became the Education Coordinator for a Refugee Foster Care program in San Jose, CA where they managed the educational needs of approximately 115 K-12 youth. Bing graduated from California State University Monterey Bay in 2005 with a B. A. in Women’s Studies and a minor in Health & Wellness. Kristen is an Education Liaison with FosterEd California, located in Monterey Bay. Kristen is originally from Sacramento, CA and moved to Boston for college in 2012. She attended Boston University, where she had double majored in Religion and Psychology. During college, Kristen worked at an elementary school in Boston and spent time volunteering with nonprofits around the city. After graduating from college, she spent two years working as a college counselor in a Boston high school through AmeriCorps. 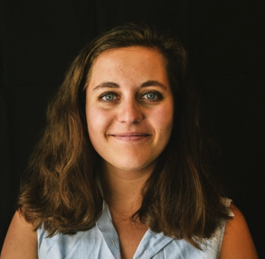 Kristen moved to Monterey in 2018 to begin her work with FosterEd supporting youth experiencing homelessness in the Monterey Peninsula Unified School District. Marcos is an Education Liaison in Monterey County. He is originally from Salinas, California and is ecstatic to bring positive changes to his community. Prior to joining NCYL, he worked for Fresh Lifelines for Youth as a Case Manager for the Court Appointed Friend and Advocate Mentor program, where he helped young people navigate the juvenile justice system through one-on-one mentoring. Marcos attended San Jose State University and graduated with his B.A. in Justice Studies. He is excited to shape the education system while continuing to serve young people in his community. Joy is the FosterEd Program Manager in Santa Clara County. Before joining NCYL, she worked with Fresh Lifelines for Youth (FLY), a local community-based organization, as the Evaluation and Learning Manager, where she supported the advancement of their Theory of Change and evaluation efforts. Also with FLY, she served as a Case Manager in Santa Clara and Alameda counties, where she supported young people in navigating the justice system and achieving their goals. Prior to working with FLY, Joy worked with several local law enforcement agencies and community based organizations, supporting adults and youth engaged in the justice system. She holds an undergraduate degree in Criminal Justice from San Francisco State University. Motivated by the challenges she witnessed in her home town of Vallejo, CA, she comes to NCYL with a deep passion for supporting justice involved youth and reducing recidivism. Janelle Atienza joined FosterEd California in July 2018 as an Education Liaison for Santa Clara County. She earned her B.A. in Sociology and Ethnic Studies at Saint Mary’s College of California in 2017, inspiring her to empower others in creating individual, community, and systemic social change. 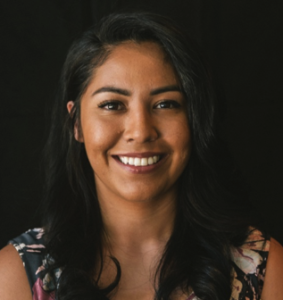 As a first-generation college student, Janelle devoted herself as a mentor for first-generation and low-income college students, creating community and supporting her mentees in reaching their educational and leadership goals. Additionally, Janelle served as a student activist, organizing her peers to advocate for marginalized students by thinking critically about campus culture, engaging with community members, and successfully impacting institutional changes. After graduating Janelle was motivated to join efforts in disrupting the cycle of reincarceration and taught professional development training to formerly incarcerated individuals transitioning into the workforce. Janelle is thrilled to join the team at FosterEd where she’s able to blend her passions for youth empowerment, education, and disrupting the school-to-prison pipeline. 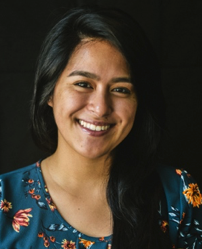 She is especially excited to be serving primarily in East Side San Jose, where she has the opportunity to give back to her hometown and learn about her community with a new lens. 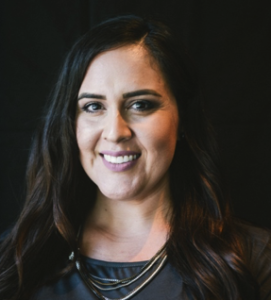 Janette joined the NCYL team in July 2018 as an Education Liaison for FosterEd in Santa Clara County, supporting young people who are system-involved. 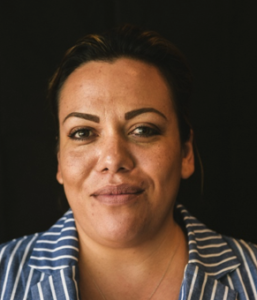 Prior to NCYL, Janette worked in south Santa Clara County, directly supporting low-income families and young people by providing them access to a wide array of services, including counseling, food assistance, medical services, and housing services. Working with the local school district, Janette was able to identify students and families in need of support and then match that need with available and appropriate resources. Janette comes from a small rural town nestled in California’s central valley, which is home to migrant workers and low-income families alike. She is one of three siblings and is a first-generation college graduate. Janette earned her Bachelor of Arts degree in Psychology and Child Development from San Jose State University in 2014. Her passion for supporting underprivileged and underserved populations is fueled by growing up in a similar landscape and by watching her parents make great efforts to provide their family with a better life. Janette hopes to expand her ability to support young people and their families with meeting their goals, creating possibilities, and becoming powerful self-advocates. Jules joined the NYCL team in July 2018 as one of the Education Liaisons for FosterEd in Santa Clara County. Before joining NCYL, Jules worked at FLY (Fresh Lifelines for Youth) as the Program Manager and also as a Case Manager. While there, he trained and matched volunteer mentors with youth involved in the juvenile justice system in Santa Clara County to help the young people in the program identify with a positive support person in their lives to increase pro-social behaviors and decrease recidivism back into the juvenile justice system. 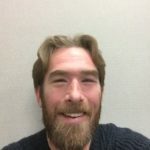 Before his work at FLY, Jules spent nearly a decade working with Eastfield Ming Quong (now UPLIFT) as a Case Manager working in Santa Clara county to support youth with mental health crises at school, home and in the community. Jules was raised in Santa Cruz, CA where he grew up avidly reading, running and surfing. At the age of 17, he acquired a scholarship to UC Irvine for cross country and track field and graduated from UCI with a B.A. in Sociology in 2003. Jules’ devotion to working with youth in the juvenile justice system was born from his formative experiences growing up in a social environment where he saw his peers fall into patterns of incarceration, addiction, and violence due to what he saw as a lack of “adults who cared.” He hopes to personally be that “adult who cares” for young people in the juvenile justice system as well as to continue to leverage his years of experience supporting young people to be bigger than their past mistakes by advocating for them in an educational setting to spur systemic, individual, and lasting change. Kim is the Project Manager for FosterEd Santa Cruz County, where she works to ensure foster children and youth are supported by an educational champion and strengthened by an education team. Kim served as an Education Liaison for close to three years before transitioning into the Project Manager role in November 2015. She holds an undergraduate degree in human development from the University of California, San Diego, with a minor in Spanish literature, and a master’s degree in education and a teaching credential from the University of California, Santa Cruz. She has several years’ experience as an elementary school teacher, and has also been a tutor, coach, and mentor for at-risk high school students. Kim is fluent in Spanish, enabling her to serve both English-speaking and Spanish-speaking families. Olivia is an Education Liaison with FosterEd Santa Cruz County. Olivia earned her B.A. in Political Science/ Social Science with concentrations in Psychology, Sociology and Anthropology in 2006 from the University of Maine- Farmington. Olivia moved to Santa Cruz County in 2007 and has worked extensively with children in foster care as well as with various community partners supporting these youth in the community for nearly ten years. Erika is an Education Liaison with FosterEd Santa Cruz County. Erika earned her B.S. in Sociology from the University of California, Santa Cruz in 2007. Previously, she worked at the Live Oak Family Resource Center as a Community Support Specialist and then as a Family and Youth Advocate. As a Family Advocate, she provided families with case management services to strengthen the well-being of the entire family. As a Youth Advocate, she worked with youth on probation, connecting them with appropriate resources to fulfill the terms of their probation. Erika is a native Spanish speaker, enabling her to serve both English-speaking and Spanish-speaking families. Megan is an Education Liaison with FosterEd Santa Cruz County. 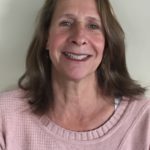 She holds an undergraduate degree in Sociology and Anthropology from Albion College and earned her Master’s Degree from Santa Clara University in Counseling Psychology, with an emphasis in Correctional Psychology. Megan has several years of experience working with foster youth and youth on probation in Santa Cruz County, and has worked with various county and nonprofit service providers in serving these youth. Norma is an Education Liaison with FosterEd Santa Cruz County. Norma has dedicated most of her career to working in the non-profit world to address poverty and injustice issues. She has worked with individuals and families to help them become self-sufficient by providing case management, direct services, advocacy, and referrals. She is driven to serve her community by her wonderful family and the amazing support and resources she has also received by her community. She has two amazing children and received her Masters in Social Work at San Jose State University. Dwaine is a Student Support Services Education Liaison with FosterEd Santa Cruz County. 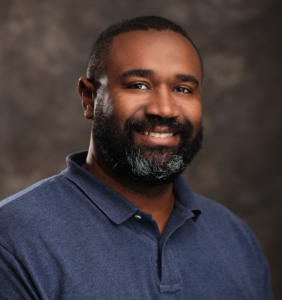 Dwaine received his undergraduate degree in Psychology from the University of Hawaii and earned his master’s degree from Argosy University in Counseling Psychology, with an emphasis in Marriage and Family Therapy. He has been working with at-risk youth and their families for the last 25 years in many capacities. He has worked in roles ranging from a classroom teacher, an At Risk Counselor for public schools in Hawaii, to a Multi-Systemic Family Therapist. Most recently, Dwaine spent the last four years working as a social worker in the state of Colorado’s child welfare department. 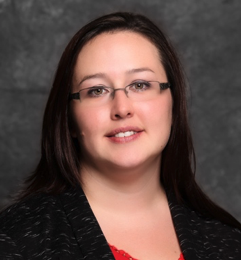 Melaina directs FosterEd Indiana, which now operates statewide as a publicly funded program of the Indiana Department of Child Services. Melaina is dedicated to ensuring the educational stability and success of DCS involved youth. Prior to bringing her enthusiasm for education to DCS, she taught first, second and third grade, as well as, a split classroom of second and third graders. She has been inducted into Kappa Delta Pi International Honor Society in Education and the Golden Key International Honor Society. Her Bachelor of Arts degree is from Purdue. She received her Master’s in Education with specializations in both Child Development and Family and Community Services from Ashford in 2013. 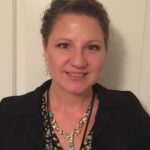 She was originally hired as one of the Northeast Liaisons in 2012 and has since been promoted to the Education Services Director in September 2014. Sabrina Ellison has nine years of public education teaching experience in both inner city and rural settings. After receiving her Bachelors in Elementary Education, Sabrina spent seven years teaching in the inner city schools of Houston, Texas (2000-2007). Upon moving back to Indiana in 2007, Sabrina became a proud mother while pursuing her Master’s Degree in Special Education. Sabrina received her graduate degree in 2009, and taught Developmental/Special Needs Preschool and Severe Disabilities. Sabrina received both her Bachelor’s Degree and her Master’s Degree from Indiana State University. Steven Takacs has been an educator for ten years. He graduated from the University of Indianapolis in 2004 with a BA in Journalism and English. He is a licensed secondary English teacher who is also bilingual (Spanish). He has taught English and English as a Second Language in the United States and Mexico as well as undergraduate courses in Philosophy. In 2010, Steven completed his MA in Philosophy at IUPUI. In his free time, Steven enjoys reading, being outdoors, fishing, hunting and being with his family and friends. Jay McGee has a passion for the benefits of alternative education classrooms. Jay taught secondary social studies for seven years at an alternative school in Colorado and at Munster High School in Indiana. He then returned to Indiana University Bloomington to attain his principal and superintendent licenses and to earn his M.A. in School Administration and Ed.D. in Education Leadership. 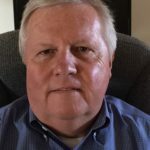 Jay has a wide variety of experience in K-12 education, having served as a principal in traditional schools, charter schools, an alternative school, and at Burris Laboratory School on the campus of Ball State University. He has presented at state and national conferences on topics in alternative education and laboratory schools. Jeri Gibson has been a Special Education teacher for eighteen years in elementary schools throughout Indianapolis and nearby cities. After serving many children in Special Education classrooms, mostly emotionally handicapped, she worked with foster children in various agencies including DCS. She recently transferred from being a Family Case Manager to an Education Liaison where she can share her expertise of both education and DCS with the entire team. Jeri received her Bachelor’s degree in Education from MacMurray College. Verne McCue has been a Special Education teacher for ten years. He has worked in both public and private education. Mr. McCue is also a Court Appointed Special Advocate (CASA) in Grant County. He received his Bachelor’s Degree from Indiana University and his Master’s Degree from Ball State University. Jason Rivich has been working with children with behavioral and special needs for eight years. 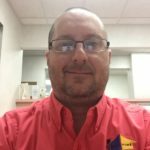 After receiving his Bachelor’s of Science from Indiana Purdue Fort Wayne, Jason began his career in education in Warsaw Community Schools where he taught Adult Basic Education/GED preparation classes and elementary physical education to students with severe emotional disabilities. 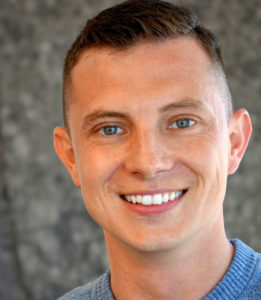 Because of his vast experience working with both adult and adolescents, he is eager to work to build educational champions for youth who have suffered through traumatic events. Outside of the office, he coaches Little League, YMCA youth basketball, and volunteers with the Boy Scouts. Travis Stahl has a special gift of working with children in alternative education settings. Although, he completed college with the best intentions of being a social studies teacher, he quickly found himself working as the director of an alternative school and in a detention center, not only teaching social studies but also math, English, science and electives. Travis received his degree from Indiana Purdue University Fort Wayne. He is married with two beautiful daughters. 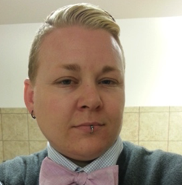 Traci Larrison is a licensed Clinical Social Worker and a licensed School Social Worker. She was employed at Brownsburg Community School Corporation for 12 years and enjoyed working with children of all ages. Her passion is empowering youth to be successful in their education and life. Her experience working in schools allows her to truly understand the complications that occur with schools and children involved with DCS. Traci received her BSW from Illinois State and her MSW from Indiana University. Anita Johnson has fervor that is quite evident in the field of education. 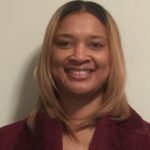 Before being hired as an Education Liaison with DCS, she taught middle/high school English in the Gary and Merrillville Community School Corporations for approximately 15 years. Anita received her Bachelor of Science Degree in Journalism/English Education from Indiana State University. After graduating from Indiana State, Anita returned to her hometown of Gary, Indiana to teach. 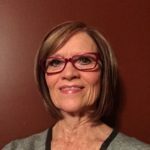 “I felt a need to return to my hometown and teach because Gary had given me a strong educational foundation that has helped me become the person I am today.” In 2012, she received her Masters of Arts Degree in Adult Education from the University of Phoenix. She has been a member of several educational organizations, such as PBIS, PTA, and the Gary Reading Council. She believes the best gifts we can give to our youth are knowledge and character. Anita is married and the mother of three beautiful daughters. 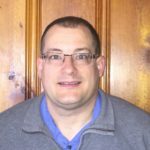 Jeffrey Neumann is originally from LaPorte County Indiana and a graduate of New Prairie High School in the heart of the “snow zone.” Jeff is a former public school educator in the state with 8 years in the classroom and 22 years as an Elementary Principal. He has been an educator in many parts of Indiana including Kentland, Renssealer, Warsaw, and now Greenwood. Jeff states “I share the excitement of the core team of EL’s and believe the position of Educational Liaison is yet another world class intervention offering assistance to the children, and all citizens of Indiana, working with very talented DCS staff to bring the best educational opportunities to the most fragile of Indiana’s young people.” Jeff received his Bachelor’s and Master’s Degrees from Indiana University. He received his Administration Certification from Purdue University. Kelly Hargett taught for 9 years as a Special Education teacher in the private school setting. 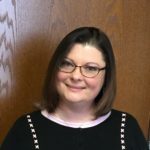 After leaving the classroom, she began working for the Department of Child Services in 2010 as a Family Case Manager in Scott County, Indiana. Kelly also worked seven years as Eligibility Caseworker Supervisor for the Division of Family and Children in the 1990s. Her diverse background in both the educational setting, as well as, the social services setting helps Kelly understand the difficulties that children in DCS care face, both academically and culturally. Kelly received her Bachelor’s of Science in Elementary Education with a Kindergarten Endorsement and her Master’s of Science in Elementary Education from Indiana University Southeast. Kelly and her husband, David, are the proud parents of daughters Caitlin, Paige, and Mallory. Naomi Koeplin has taught high school and middle school Language Arts in rural northwest Alaska and also Louisville, Kentucky. Naomi received her BA in English Education from Bethel College in Mishawaka, Indiana in 2008, and her M.Ed. in Elementary Education from Northern Arizona University in Flagstaff, Arizona in 2012. While earning her master’s degree, she also attained endorsements in Early Childhood Education and Structured English Immersion and taught in elementary and preschool classrooms. She moved to Bloomington, Indiana and joined the Education Services program with DCS in 2012. Naomi embraces the incredible potential that being an Education Liaison affords to influence educational success for youth in DCS care. 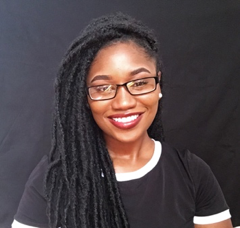 Naomi will be pursuing the Master of Social Work program at Indiana University Purdue University Indianapolis beginning in the Summer 2015 term.